There is something for everyone in Las Vegas. When planning a trip to Nevada, you will certainly want to include some of the best of Las Vegas tourism. Las Vegas is one of the fastest growing cities in the United States and famous for its exotic nightly shows and casinos. Even if gambling is not your cup of tea, don't omit a trip to Vegas from your plans. The city also offers shopping and a variety of restaurants. You can be sure that here is always plenty to do in the glamorous city of Las Vegas no matter what your budget is. Consult your travel agent to help advise you about when to fly to Vegas. She may be able to find some inexpensive deals for you depending on when you want to visit. Some hotels will give you a free night if you reserve a room for at least two nights. Often this is the case around the end of the year, right before New Year's Day. If you travel to the city with a large group and all stay at the same hotel, discounts will be available. For those who fly into the city, you will arrive at McCarran Airport which is within eight to ten miles of most of the hotels on the famous Las Vegas Boulevard, more commonly known as the Strip. You won't want to miss these exciting attractions both in and near the city. Hoover Dam is a must-see and located only thirty miles outside of Vegas. Elvis-a-Rama is a museum dedicated to the one and only Elvis Presley. The Lied Children Discovery Museum is a wonderful learning experience and should you travel to Vegas with children, consider spending some time here. The Natural History Museum features all sorts of living animals to those which have been preserved. The Liberace Museum is a fun place to explore the life of one of Vegas' top musical performers. Guggenheim Hermitage Museum has art exhibits to interest everyone. Le Cirque - Enjoy delicious French dishes at this silk-tented ceiling restaurant at the Bellagio Hotel located on Las Vegas' Strip. Bradley Ogden - Dine in the main room by a waterfall and fireplace. The restaurant is inside Caesars Palace. The Broiler - This is a good inexpensive steak restaurant. Oyster Bar - When you crave seafood, this restaurant will meet your expectations. When you stay at one of the many fine hotels, tours will be offered so that you can book an outing and sightsee around the city. Read up on what is included in each tour and plan according to your preferences and those you are traveling with. 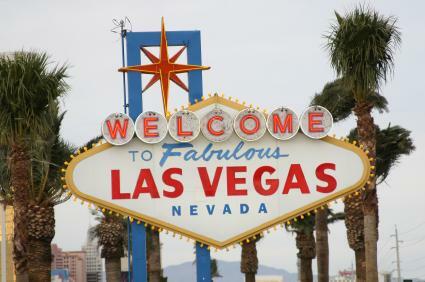 Las Vegas has soemthing for everyone, from single adults to elementary aged children to teens. Tickets to shows featuring some of your favorite artists, including Barry Manilow and Celine Dion are also able to be purchased at the hotels.If concerts are not for you, how about a magic show? There are numerous ones to choose from.If you really have your heart set on seeing a particular show, it is best to buy your tickets before your arrival. You would hate to find out the show has sold out. Monorail, taxi, limo, the bus service known as CAT (Citizens Area Transit), rental car, or tour bus are ways you can explore the city. Since most of the casinos and large hotels are located on the Strip, walking to them is also an option. So grab a map of the city, bring your good walking shoes, and enjoy the best of Las Vegas tourism!